Remember that post about words beginning with 单 (dān)? 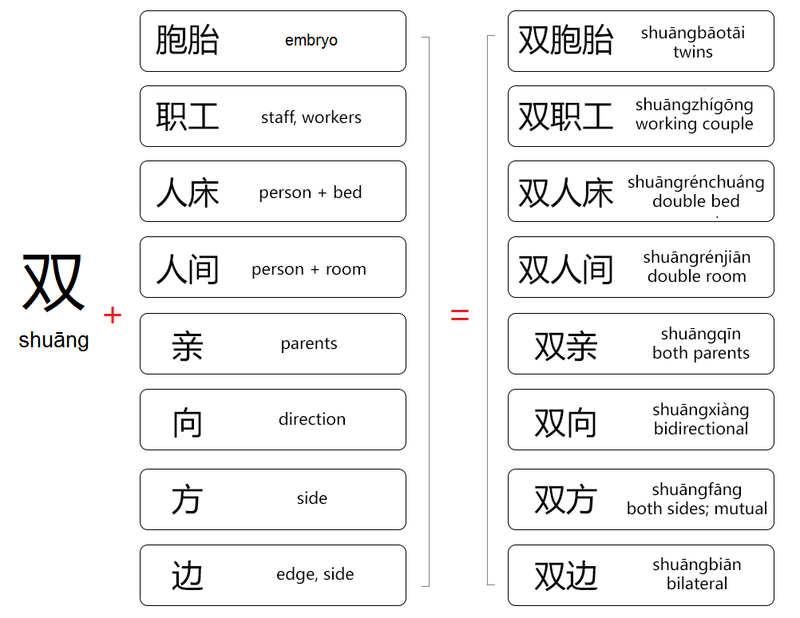 Now it is time to compare the usage of 单 and 双! 双 (shuāng) is a another good example of a morpheme with strong word-building ability. As a prefix, it means “two-”, ”bi-”, “double”, etc.